One of my favorite things about going to the county fair is getting a churro with that great tasting cinnamon sugar! 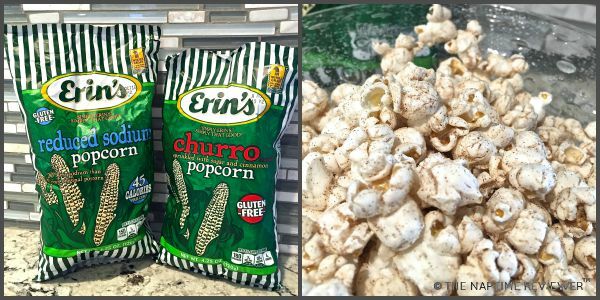 Erin’s All Natural Popcorn from Tim’s Cascade Snacks has created a flavor that gives that great churro taste, without the stickiness of a churro, and only 130 calories in 4 cups! 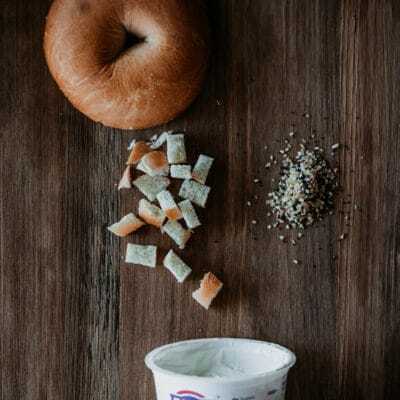 This is the perfect after school snack (or for moms before school gets out!). Erin’s Popcorn in Reduced Sodium and Churro flavors. All 5 varieties of Erin’s All Natural Popcorn are gluten free, and taste super fresh. Erin’s comes in 5 flavor varieties – Reduced Sodium, Churro, White Cheddar, Original, and Jalapeno White Cheddar. All 5 flavors are under 150 calories per serving, and under 10 grams of fat. Visit Tim’s Cascade Snacks and see their yummy line of crunchy snacks – Tim’s Cascade Style Potato Chips, Hawaiian Kettle Style Potato Chips and Onion Rings, and Erin’s All Natural Popcorn. Be sure to visit their “Recipe” tab for some great creative recipes made using Tim’s Cascade Snack products! Disclosure: I received one or more of the products mentioned above in exchange for review from Erin’s Popcorn/Tim’s Cascade Snacks. Regardless, I only recommend products or services I use personally and believe will be good for my readers.